If you’re in need of auditors in Putney, you are in good hands. Miranda Management and Accountancy Services Ltd are an accountant based in Richmond, serving the Putney area. Finding a trustworthy accountant in Putney can be a difficult task. This is where we can step in with our services. Miranda Management and Accountancy Services Ltd are a forward thinking group of accountants based in Richmond and Uxbridge. Over the years, our small team of experts has helped countless business owners with their finances. Some of our services include; payroll, personal and business tax and business audits. 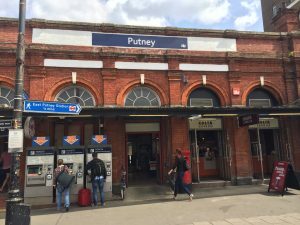 Miranda Management and Accountancy Services Ltd have one goal in mind and that is to help business in Putney thrive and be successful. We are completely aware of what it takes to run a small business. From our own experience, we understand finances can be difficult and overwhelming, especially without any training. The centre of everything we do is customer satisfaction and it is what drives us to do our best. Each client to us is unique and their business is special and that’s exactly how we want you to feel. We found that generalising business issues doesn’t work in your favour. From this stemmed our passion to have a completely personal service. Not only does this form a great bond between you and us, it helps us work better with you. We strive to do our research and know your industry before putting forward plans for you, so you can trust us to have the knowledge to help you. So call us now or come to our office and say hello. Finding good and reliable accountants in Putney has never been easier with Miranda Management and Accountancy Services Ltd. Our team is always on hand, ready to help you whenever you need us. We appreciate you considering us for your business and we hope to hear from your very soon.